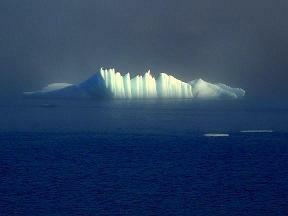 Things to Do What to Bring Our Weather	Tidbits Links Newsletter #1- Atlantis? Located on the Northern tip of the Island of Newfoundland, Canada our company offers you the following services; Valhalla Bed and Breakfast in Gunner's Cove only 5 miles from UNESCO Viking site- View of Iceberg Alley- Newly renovated. Annie's Retreat Vacation Rentals- Nightly- in Gunner's Cove- A True Newfoundland Experience. Norseman Restaurant in L'Anse aux Meadows- Award winning restaurant, view of icebergs,whales and the sunset while you dine and local entertainment. Gaia- art galleryhas the best selection of Newfoundland and Labrador Art in the Province. Innu, Inuit and local moose antler, whale bone, soapstone and serpentine carving, Innu tea dolls, paintings , prints, pottery, Knitted woolen items,Pewter art, jewellery, etc. . All of our services are within 5 miles of the L'Anse aux Meadows UNESCO World Heritage Viking Site and are all located next to the ocean. We provide a friendly, scenic, relaxed environment and quality product at the end of the earth. NEW!!! Another great reviews by Lawrence Hill writer of "The Book of Negros"
Winnipeg Free Press- Jim Shilliday "Rock show..."